I posted a photo last week on June 21,2010 showing a mystery insect. After a bit of investigating, I can confidently say that I've identified the bug in question. It is a young cadydid. 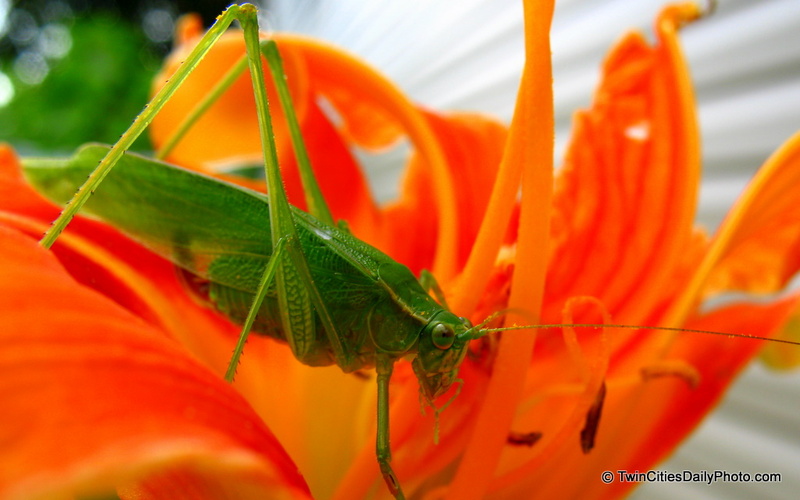 If you follow this blog, last summer on August 10, 2009, I posted a contrasting photo of an adult cadydid resting on a lily. Today I am showing both the adult and youth, from similar side profiles, so you can compare and see what the younger version will grow into.